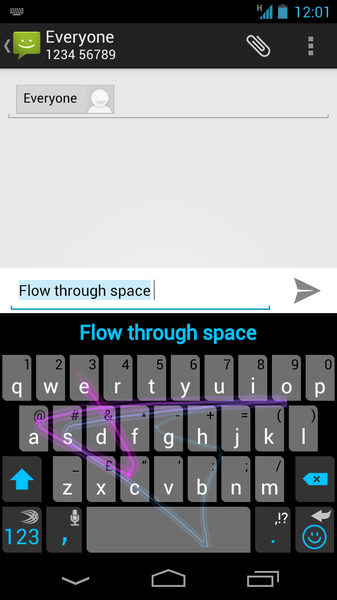 Back in October we reported on SwiftKey‘s upcoming Flow feature, designed to bring ‘gliding’ gesture input to its Android keyboard app. And today, well, it’s launching in beta to SwiftKey’s 75,000 community of VIP users. Just to recap, SwiftKey offers up a smart replacement keyboard to the one that comes bundled with the Android OS, one that learns how you use language to offer one of the best predictive typing systems out there. It can also be improved by allowing access to a user’s SMS, email, Facebook and Twitter archives. So when writing a text, email or tweet, this profile is used to correct typos in context, predict a word as it is being traced, or suggest the most likely next word in a sentence. SwiftKey Flow: A new approach to typing? SwiftKey Flow is being billed as a “new approach to typing”, combining the predictive capabilities of SwiftKey’s main engine with the ability to glide your finger across the screen to type words. If this all sounds similar to Swype’s hold-and-Swipe functionality, well, that’s because it is. It seems that the new feature offers its own take on “continuous input”, with real-time prediction as a user begins to ‘flow’ a word on the keys. This allows the word to be inserted by simply letting go of the screen as soon as it’s ‘predicted’, so no extra taps or scrolls are needed. In addition, the user will still be able to select relevant next-word predictions based on SwiftKey’s prior knowledge of their writing habits. SwiftKey Flow will still support the traditional multi-touch tapping as well as gliding, meaning you can switch between the two modes as desired. The London-based company recently celebrated hitting 15 million downloads of its original SwiftKey app, and has featured highly in the Google Play charts in dozens of countries, with availability in 45 languages. Back in April, we reported that SwiftKey‘s smart Android keyboard plug-in was taking another leap forward, with the beta launch of a new version that means you’ll probably never need to use the spacebar again (unless you’re using Flow Through Space, of course). This followed the SwiftKey SDK launch, which sought to bring its smart keyboard to almost any device. 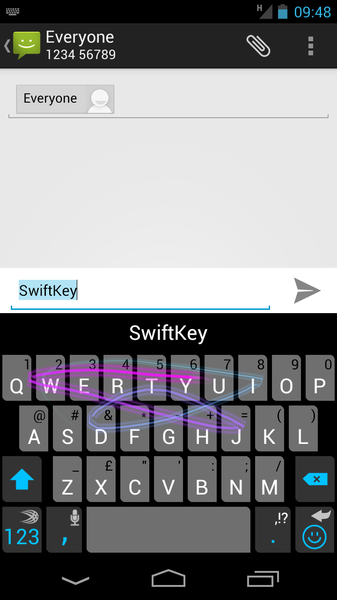 If you’re not already part of the VIP community, you can join now to get access to SwiftKey Flow.